The WELT:KLASSE Foundation was founded in 2006 by Matti Spiecker, an Economics student at Witten/Herdecke University. It initiates and organizes innovative School exchanges for students in emerging and developing countries. Over the past 4 years, a total of over 200 students from 15 schools all over Germany have traveled as WELT:KLASSE ambassadors to China, India, Thailand and Kenya. Through their daily blog entries and extensive video conferencing with their home school, they were able to make their impressions and experiences accessible to many of their fellow students. 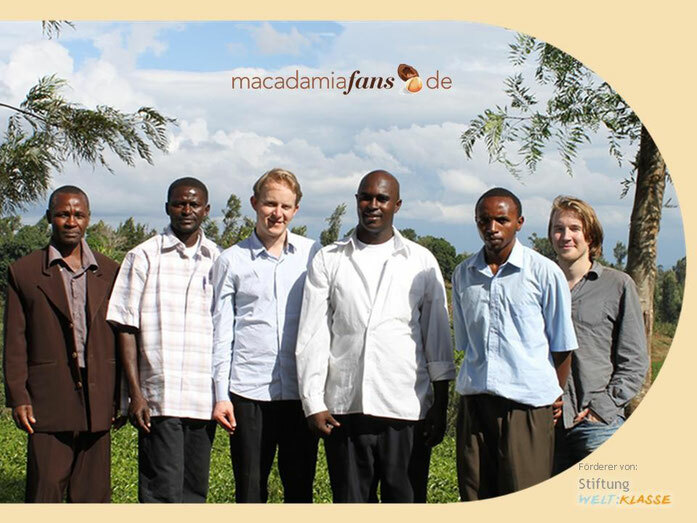 macadamiafans GmbH was eventually founded in 2009 by Matti Spiecker and his German brother Hannes in cooperation with Anthony Ngondi in Kenya. Their basic philosophy was to create a model project for a global, sustainable, added-value chain that combines the best practices of social entrepreneurs they had visited worldwide, and also works in close cooperation with the WELT:KLASSE Foundation. This philosophy was applied to everything from selecting the right product to choosing the most appropriate cooperating country. For instance, further processing of the product should be possible without any additional raw materials and, in the interest of good quality management, it should be robust and longlasting. To make ecological cultivation practices simpler to apply, the product should not be particular susceptible to pests, have a beneficial impact on the health of its end consumers and make a positive contribution to the environment during the cultivation phase. The choice was made to go with macadamia nuts, since they meet all the above criteria. Kenya was chosen as the cooperating country because it is the land with the largest volume of macadamia nuts produced by small farmers. While Australia, USA and South Africa produce larger volumes overall, their output is based primarily on mono-culture plantations. In addition, Kenya was considered a suitable destination for WELT:KLASSE students because of its diverse culture. 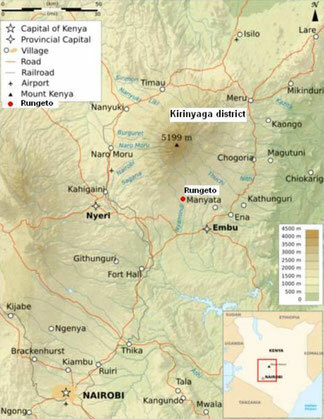 The business has operated a processing and training center in Githure/ Kenya since January 2011. macadamiafans GmbH works with an organization of about 400 small farmers, who receive training and support with the process of converting to organic farming practices. This process of converting the macadamia trees to ecological cultivation practices was certified by the Swiss Institute for Market Ecology (IMO) in May 2011, and final organic farming status (“organic” or “Bio” seal) is expected by May 2013. Macadamiafans has further developed the conventional fair trade model. As the nuts are delivered, processed and packed by the individual farmers, it is possible to identify the specific origin of the finished packs, and each pack contains a photo of the producer. 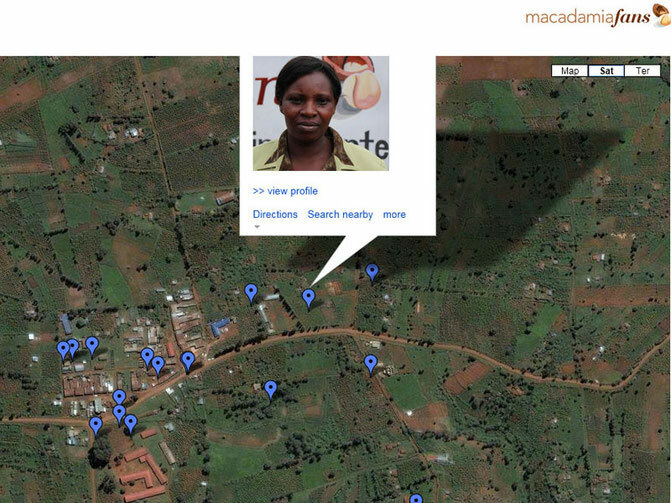 The intention in the future is to set up a Facebook page for every farmer so that consumers can contact them directly. The idea is to add a human face to the concept of fair trade and create connections between people in Kenya and Germany. By by-passing the middle man, it is possible to guarantee the farmers a fair price and also offer organic macadamia nuts at very reasonable prices in Germany. The individual nut packs and oil containers are packaged and sealed in 31 kg crates. This means they can later be sent to their WELT:KLASSE partner school in Germany cost-effectively and without any repackaging. In addition, there are plans to include the option of ordering the nuts online in the future. Macadamiafans GmbH sells the macadamia products to the German registered charity, “Initiative WELT:KLASSE e.V.” at a price that means macadamiafans GmbH makes no profit. The accounts of the enterprise are posted on the internet via an open accounting system and freely available for anyone to see. macadamiafans GmbH can adjust the necessary software used to run this open accounting system to make it suitable for use by school enterprises. Anthony Ngondi has agreed to act as the coordinator, and a cooperation partner in Kenya has been found for the German macadamiafans GmbH.